Visitors are welcome to drop by whenever the space is unlocked. Feel free to look around, ask questions, use equipment, and build things. Our community has strong diversity from artists to technology experts, regularly providing information and training. HacDC is open to the public whenever a member is present to keep the doors unlocked. Monday and Thursday nights are popular gathering times, usually with 5-15 members present, and at least a couple general technology experts. Additionally, members will be present for most events marked on our calendar. Our occupancy sensor (based on light sensors, an Arduino clone, and OpenWRT router) reports in real-time when the space is open to the public. Always consider calling us at 202-556-HACK (4225). Individuals present at our hackerspace can report on probable availability for your chosen arrival time. 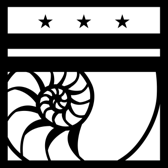 HacDC is located on the third floor of the St. Stephen and the Incarnation Episcopal Church, 1525 Newton St. NW, at the intersection of 16th and Newton Streets, NW in the Mount Pleasant/Columbia Heights area of Washington, DC. Visitors should enter the church through the westward facing doors, which are colored red. Starting on Pennsylvania Ave, go north at any convenient point to Massachusetts Ave.
Go left on Massachusetts Ave. Turn right onto 15th Street NW. When 15th Street merges into 16th Street, continue north for 4 blocks to Newton Street NW. Take US-1 North toward downtown DC. Stay straight to go onto 14th Street NW. Go just under 3 miles and turn left onto Newton Street.